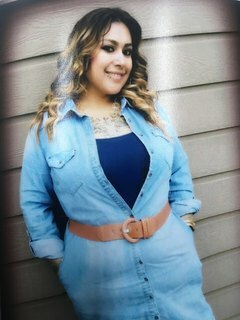 Rosary for Miranda “Bella” Vasquez 35, of Lubbock will be held 7:00 P.M., Wednesday, August 15, 2018 in The Chapel of Broadway Funeral Directors. Funeral Mass for Ms. Vasquez will be 10:00 A.M., Thursday, August 16, 2018 at Our Lady of Guadalupe Catholic Church with Father Martin Pina officiating. Arrangements were made under the direction of Broadway Funeral Directors. Miranda was born November 15, 1982 in Lubbock to Jimmy Suarez and Diane Rangel. In 2001 she graduated from Monterrey High School and went onto receive a degree as a medical assistant. Whether she was taking pictures, listening to music or cheering on the San Francisco 49ers, Miranda had a passion for life that her family will always remember and cherish. She is preceded in death by her father, Jimmy Suarez; her maternal grandfather, Gumecindo Hernandez; her paternal grandparents, Miguel Sr. and Ninfa Suarez. Those left to honor her memory are her mother, Diane Rangel and husband Sam of Lubbock; a daughter Adri’L Vasquez of Lubbock; two sons, Javen Vasquez and Zadrian Vasquez both of Lubbock; three sisters, Derrica Gutierrez and husband Julian of Lubbock, Corine Aguirre of Lubbock and Naomi Nanez-Arambula of Midland; her maternal grandmother Guadalupe Hernandez of Lubbock; a host of nieces, nephews and cousins.